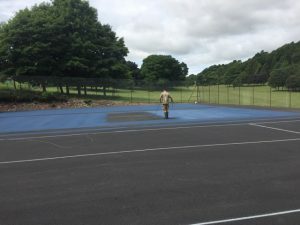 ColourWorks have colour coated and lined the newly refurbished Macadam Tennis Courts in Dundee. 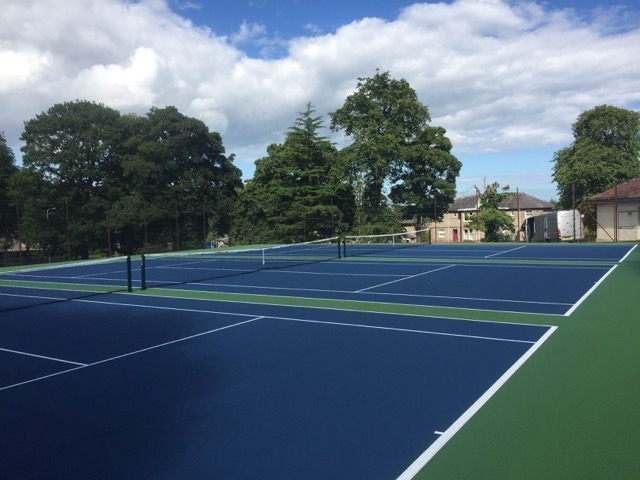 The courts are now looking resplendent in US Open colours. 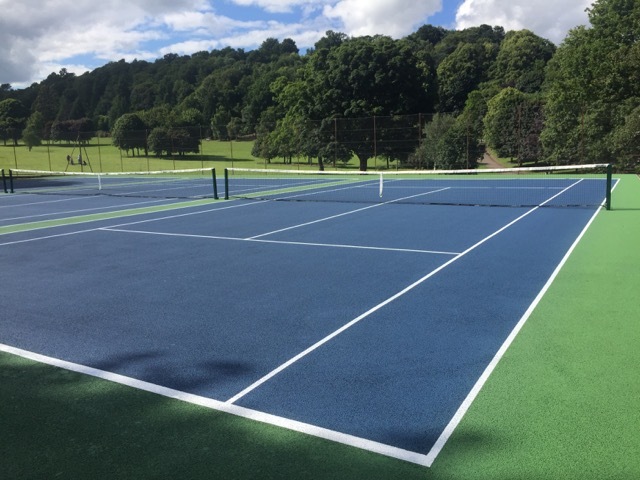 Visit our Technical Section on our Web Site for more Information on Tennis Court Painting. 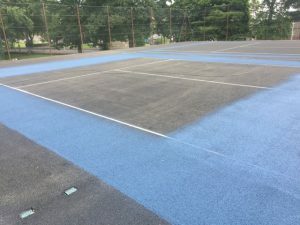 In 2007 the U.S. Open introduced their trademark colour scheme with blue inner courts and green outer courts, marking the first change of court colors since the event moved to Flushing, NY in 1978. Tournament officials and CBS — which broadcasts the U.S. Open — determined that the new colour scheme helps players, spectators and TV viewers keep their eye on the ball. 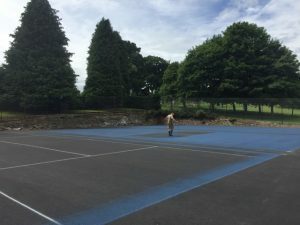 While many hard surface courts have been traditionally green, blue is actually closer to purple, the opposite of yellow on the colour wheel. Consequently, the blue surface provides a higher contrast to the yellow tennis balls and thus improves visibility. 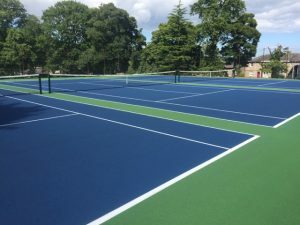 In addition to offering better ball visibility, the blue and green courts now serve as a signature for the U.S. Open Series, the six-week summer tennis season of 10 major American tournaments linked to the U.S. Open. The US Open Series launched in 2004, it now generates a record 1.5 million attendees, 126 million TV viewers and over 15 million website visits. DecoTurf has been the official surface provider of the US Open since 1978. 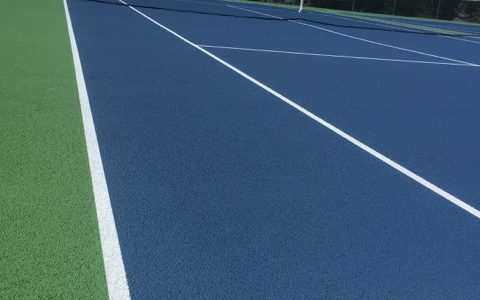 In 2005 DecoTurf worked closing with the USTA to develop a new blue tennis court color fittingly named US Open Blue. This is a non-porous acrylic surface.